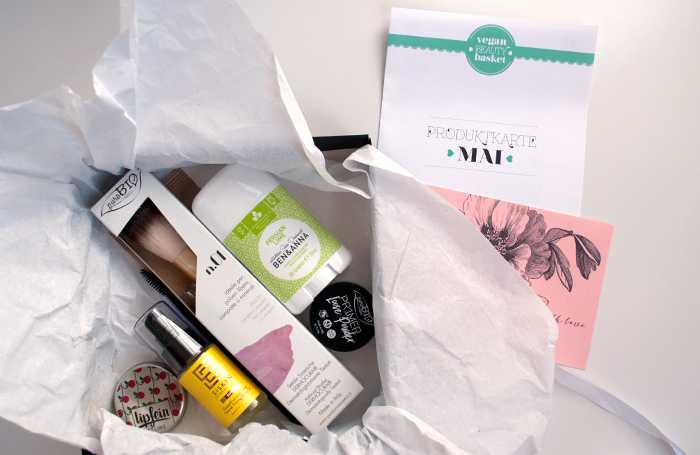 Looking for a vegan beauty subscription box in Germany? 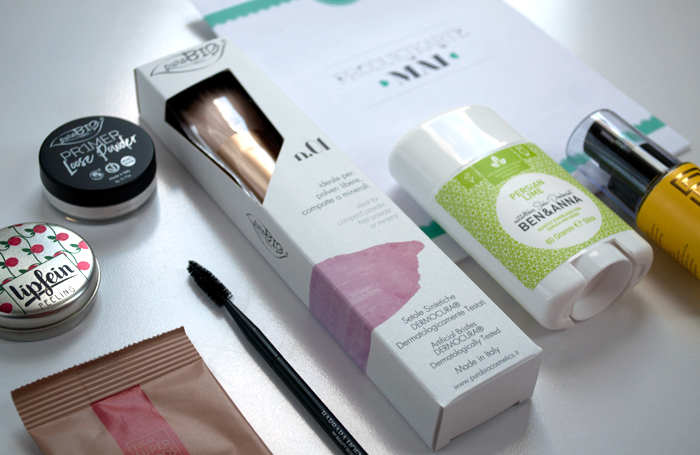 Then look no further than the Vegan Beauty Basket! 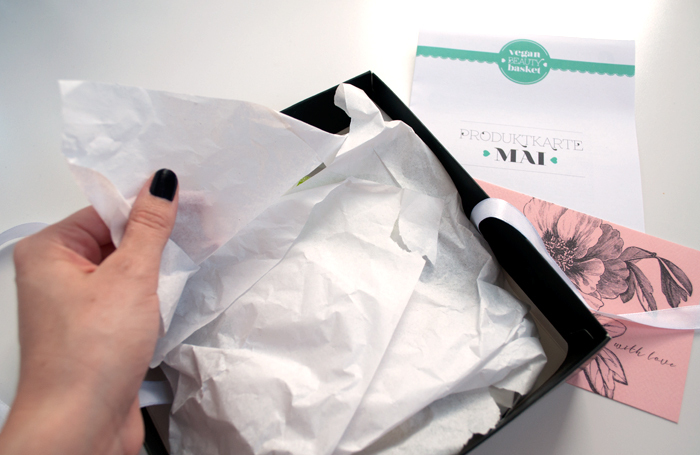 The lovely team reached out and asked if I wanted to review their May Box on my blog, and of course I said yes! 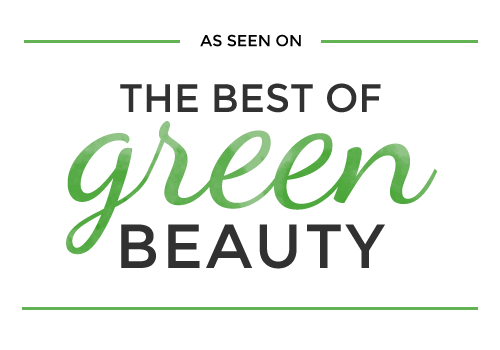 Always excited to find green beauty here in Germany! 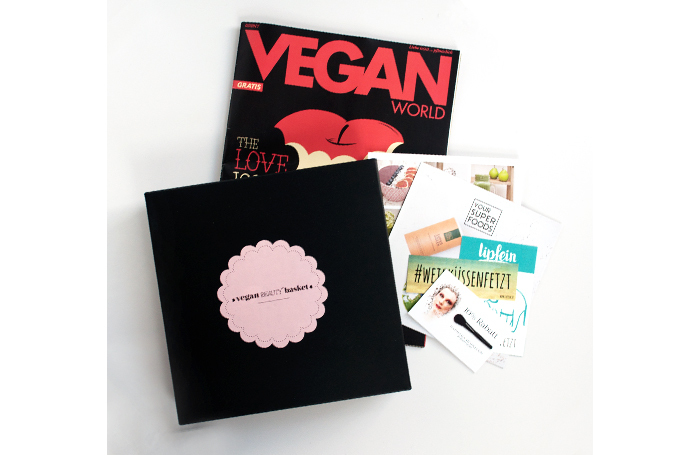 Vegan Beauty Basket is a bi-monthly subscription box of guaranteed vegan and cruelty free cosmetics. 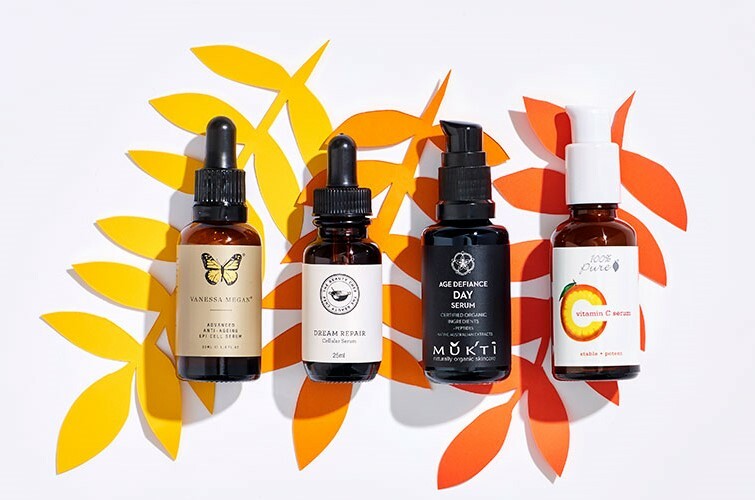 They research the products and brands so you don’t have to and they ensure that every item included in their boxes are 100% vegan and 100% cruelty free. This month’s box included a variety of skin care, makeup, and food items as well as an issue of Vegan World Magazine and some product info and discount codes. 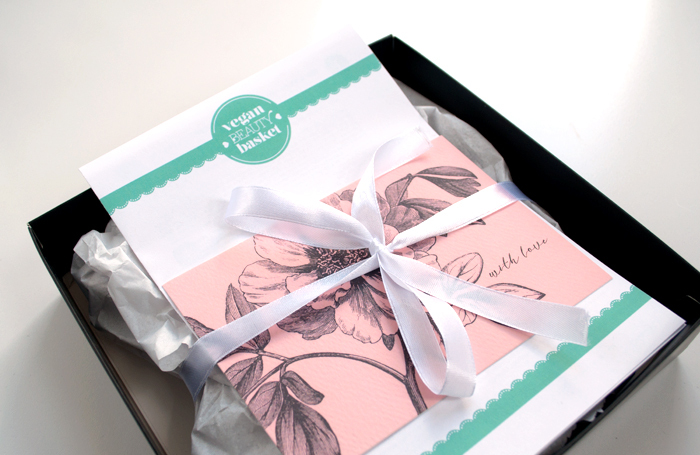 First off, totally love the packaging! Will be keeping the box to store my abundance of stuff in! It’s always a joyous experience opening beautiful packages that arrive in the mail, one of my favourite hobbies! Haha! I was first introduced to Ben & Anna at VIVANESS this year and was instantly impressed with their products. The baking soda, seems to be much more finely milled than some other natural deos on the market, so I’m hoping this won’t irritate me. I am still testing another deo currently, and don’t want to mess with the cycle, so have not tried this yet. But loving the Persian Lime scent; will be perfect for scent I think. 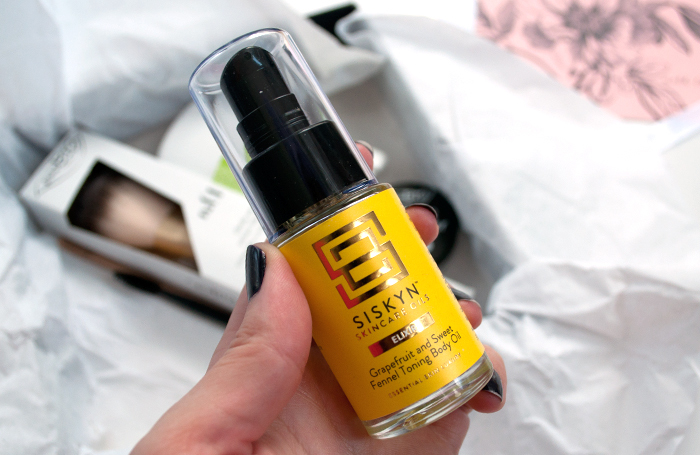 Next up is SISKYN Grapefruit and Sweet Fennel Toning Body Oil. This has a lovely “spicy” scent to it; I don’t want to say pepper-y but along those lines due to the fennel and black-seed oils. So far has been absorbing quickly, but can’t speak to its “toning” properties yet. Nice mix of 100% plant oils and nothing else. 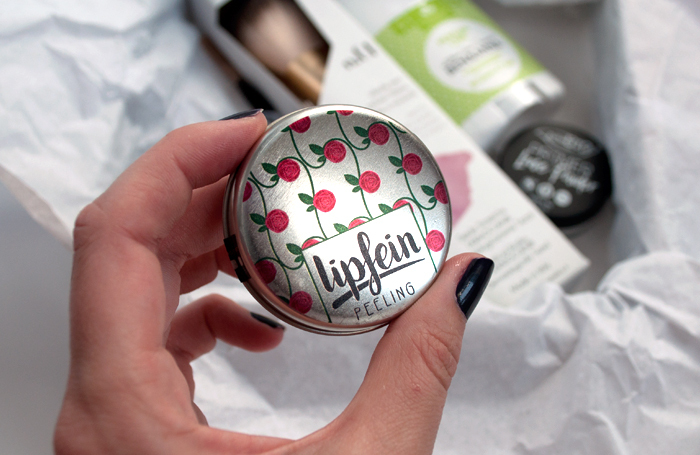 Lipfein is a line of 100% natural, organic, and fair trade which are handmade in Germany. 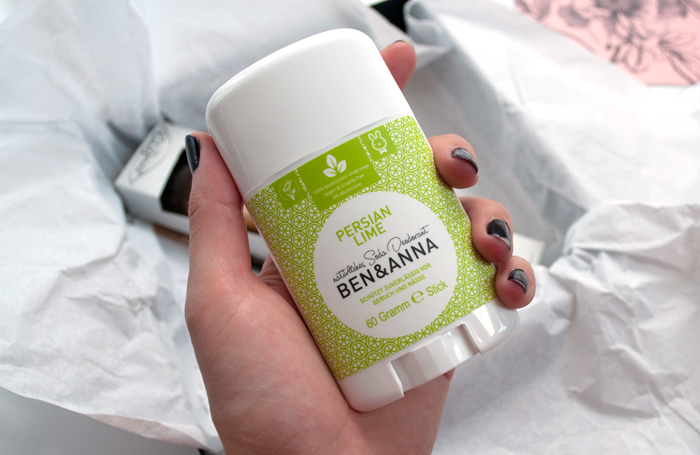 I’ve tried one of their lip balms before and I loved it, so was plased to see this Lip Scrub in this month’s box. 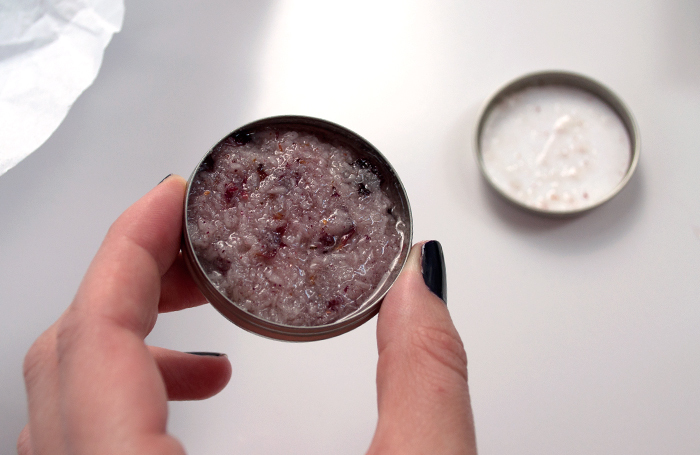 This scrub is different than others I’ve tried as it doesn’t contain any sugar! Perfect for those who don’t want to cheat 😉 ! I like the ingredients that have been included, though I think the pieces of coconut are a little bit big for really effective exfoliation. And I think my apartment must be a bit too warm as the oils are very liquid all the time, but at least it’s easy to get the product out of the tin! 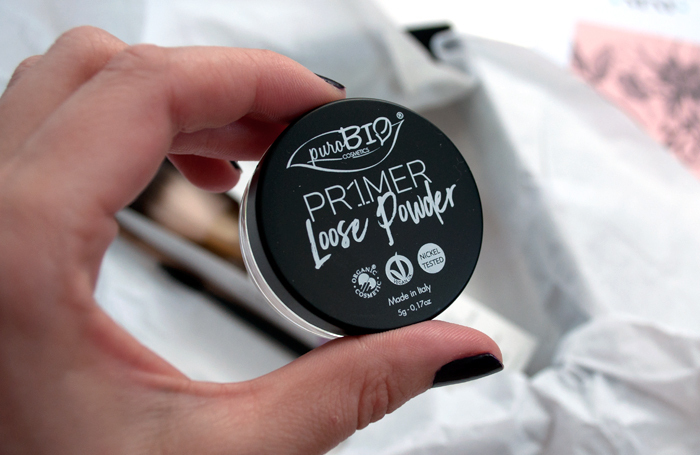 I have a couple of puroBIO products already and I really like them so I’m interested to try this Loose Powder Primer. I’ve only used a liquid primer before, so it will be interesting to try this out! What I really like about puroBIO product is that they don’t contain talc, and this is no exception. Finally! I have a spooly brush! 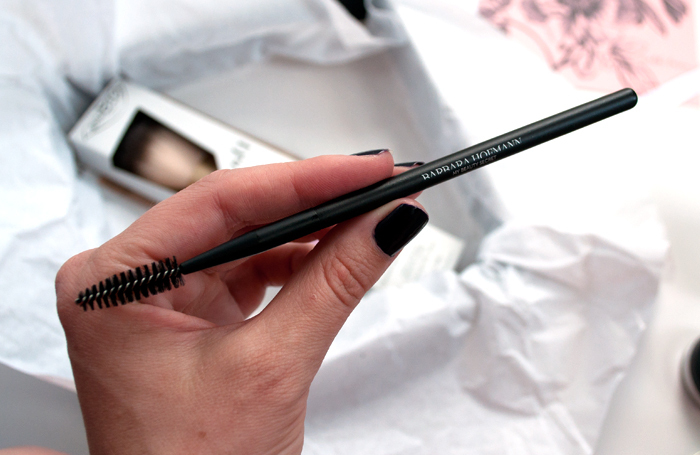 I have one on the end of my eyebrow pencil, but I always wanted one on its own. 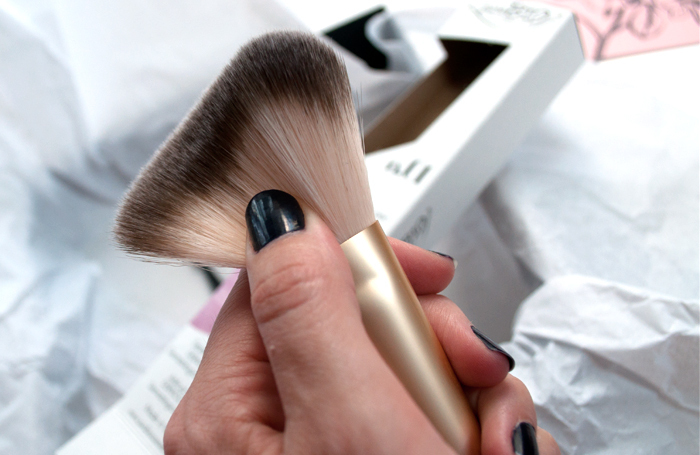 This Barbara Hofmann Spooly Brush is just lovely. Sleek design, and really nice fine bristles. 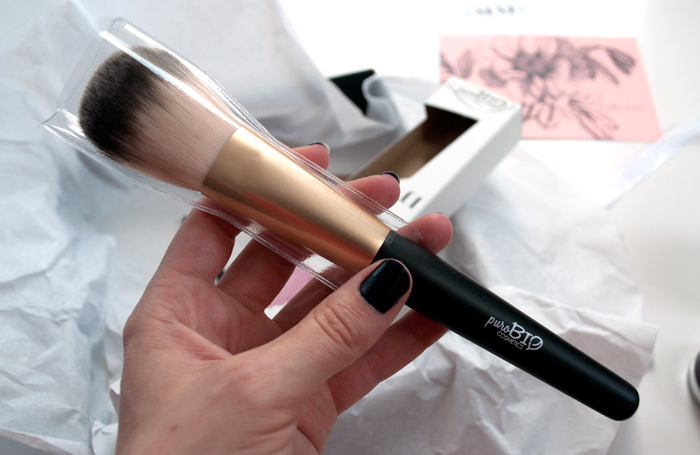 I have two other puroBIO brushes and I absolutely love them so I was so happy to see this included in the box! I can add another beautiful puroBIO brush to my collection! 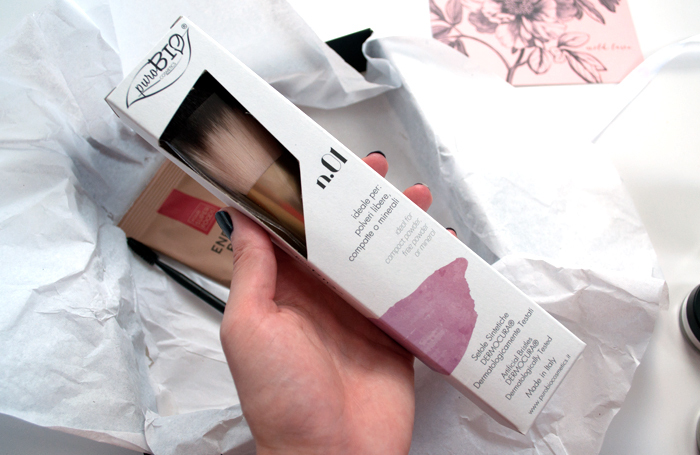 Their bristles are so lovely and soft, such beautiful products, love! 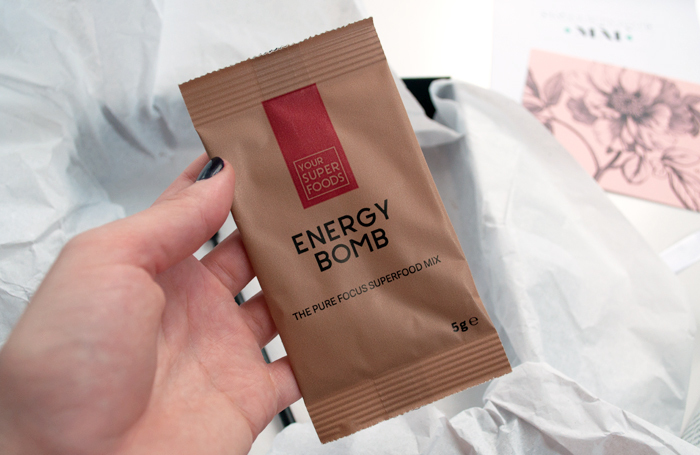 Last but not least, an Energy Bomb superfood mix by Your Super Foods. It’s free from gluten, soy, dairy, and GMO or additives. It is a raw, all natural, vegan powder containing only organic ingredients. I have not tried this yet as it contains Guarana and so want to take it in the morning as caffeine can sometimes have quite a strong effect on me. But it looks interesting! It contains other superfoods such as Acai and Maca so I’m excited to see its effect on me and how it tastes! The total value of this box is well over €60 so it’s a pretty good deal if you ask me!